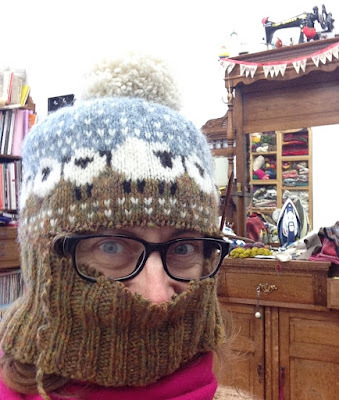 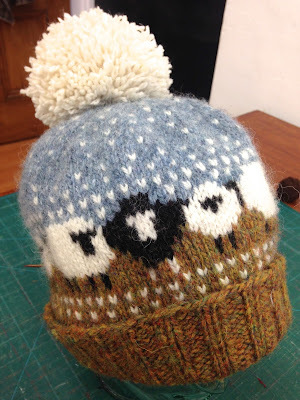 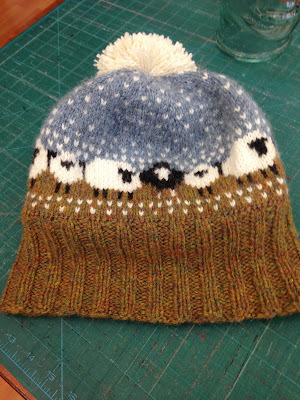 I made Donna Smith's Baa-ble hat when the pattern first came out but it was just too loose. 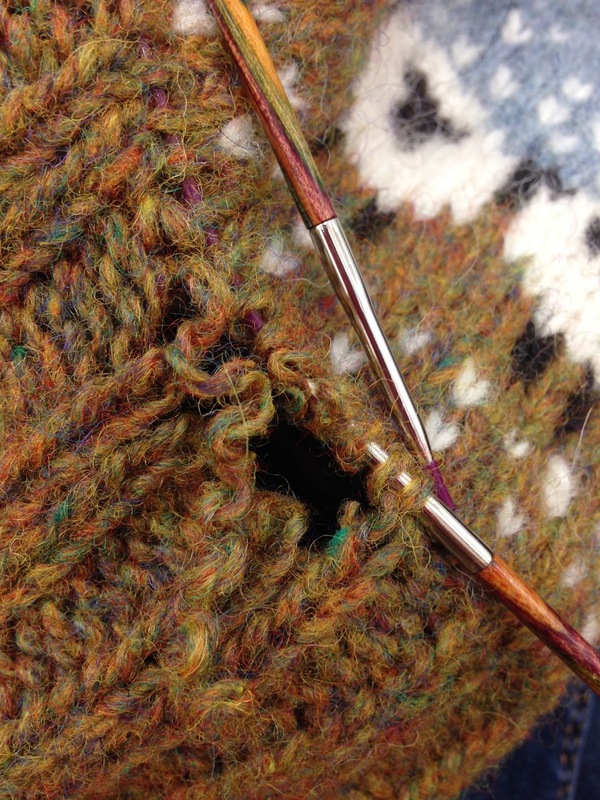 I chopped off the rib intending to wash and stretch the wool and knit a smaller rib. 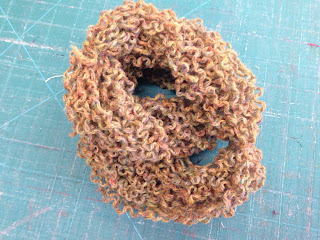 but then realised I could just knit a smaller rib in another colour yarn that was ready to go. 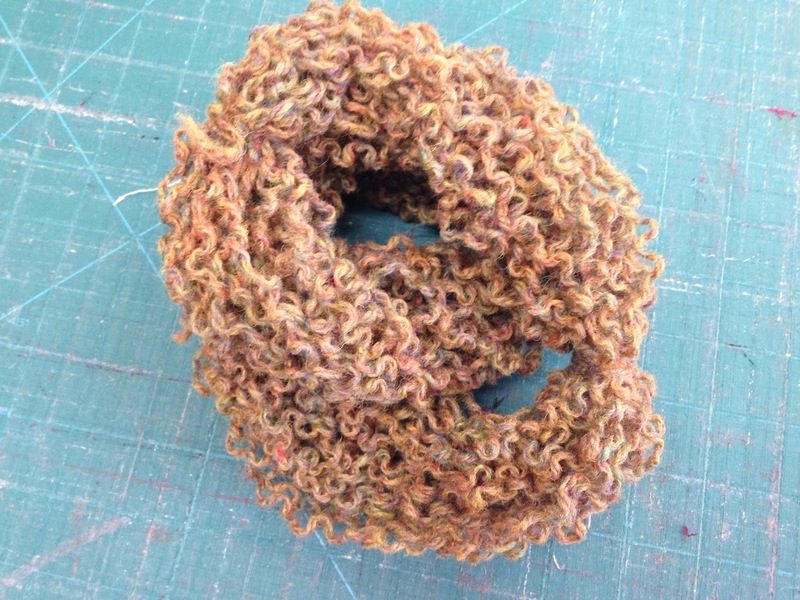 Below is some handspun that I picked up at Wonderful Wool Day in Oswestry. 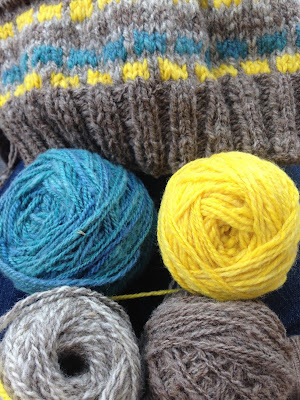 I just made up the pattern as I went along. I'm now fully equipped for winter.